The facility is very clean and well maintained, and the location is very convenient. The staff are very friendly. Excellent storage facility, great customer service! Michigan Storage Center#2 is GREAT! Price is right, storage space is immaculate, easy to load/unload and the staff is fabulous! I spoke to Sienna, who was very kind and knowledgeable, not to mention very accommodating. I got an inside, climate controlled space and enjoyed 1/2 off my first 2 months rent. Doesn't get any better than that! Very clean and very nice employees. I was referred by a family member and I am very happy we chose this facility. It is clean and nice. This facility is pristine, and the staff are friendly and professional. I highly recommend Michigan Storage in Farmington Hills. This facility was very easy to use. Staff were prompt, friendly and thorough in explaining how the facility works, security and pricing.The buildings are clean and well-maintained. I feel very comfortable storing my belongings here. Just got my rental space and the entire transaction was amazing. Staff is extremely friendly, knowledgeable and accommodating. Pricing was great, cleanliness and operations were excellent. Overall, I would recommend to all. I don't generally write reviews, but the guy that works there made my first storage experience truly an easy task. This place always seems clean with available carts when I stop by to pick up or drop stuff off. Much appreciated. This facility is well managed, clean, all doors and gates are in good working order. Overall an excellent storage facility. Arrived here without calling and was assigned a unit that was perfect for my needs and at a good price too! Clean and affordable. The people are very friendly. Great location, clean, secure, high ground free from flooding, Steve is very easy to work with and very accomodating, eager to assist. So far, a great experience..
Great, friendly service - made choosing my storage an easy decision! Everything worked out great - was able to get the space I needed and the use of a truck was super helpful. Then I needed a second space and was able to get one right around the corner from my original! All easy and stress free! Steve is attentive and and awesome. The units are clean and accessible. I feel confident in the security at Michigan Storage Centers. I wanted to rent a storage unit that would accommodate all of my items as well as fit within my monthly budget. Michigan Storage provided both. The location was convenient, the serviceman was friendly, and the establishment was clean. I would recommend this facility to others that live within the area. I really had a great stay at this facility in Mad. Hts, Mi. This facility was clean and well maintained. I was able to enter and feel safe and secure while doing so at night. The customer service was awesome, thanks so much for a smooth transition. Great service. Friendly personnel. Easy access. Convenient on-line payment. MI Storage was recommended to me by a previous renter.I would definitely recommend. Very good place to store your items/stuff. I have been going through them for quite awhile now. Friendly attentive service. I recommend this place to all the people out there. Have been a customer with three units for over a year Great facility. Clean. Modern. Friendly. Helpful service. Very clean facility. Well lit and smooth roads with great rain drainage. Manager very helpful and knowledgeable. Close to home for frequent trips. Have recommended this business several times. I have had great service with Farmington Hills Michigan Storage. The staff is polite and extremely helpful. Facilities are always clean and safe. Renting a storage unit from Michigan Storage has been greatly helpful in addressing the growth of my business. The facility is always clean, the temperature as appropriate and I can always find a cart when needed. The site manager has been so helpful. When I had accidentally broken my key, he was very friendly and helpful. He came right over and helped me out. My only suggestion would be for all the entryways to the storage building be consistently shoveled in the snowy months. Or leave salt in a bucket outside the doors. It gets slippery and hard to carry things in and out. I have been very pleased with the Farmington Hills facility and its staff. I feel my storage items are secure and accessible regardless of the weather and time of day. Other tenants have been polite as well. Most importantly has been the excellent service from the Site Manage Steve who answers all my questions in a prompt and professional manner. He is an excellent example of a customer service-oriented professional. I have talked with many friends and business colleagues and am sure they would use your facility(ies) when the need arises. Thanks again for the great service. Steven the manager is very helful. If their are any issues, they get resolved quickly. Well kept storage center. This facility is clean, well lighted, convenient, and the employees are always super helpful. 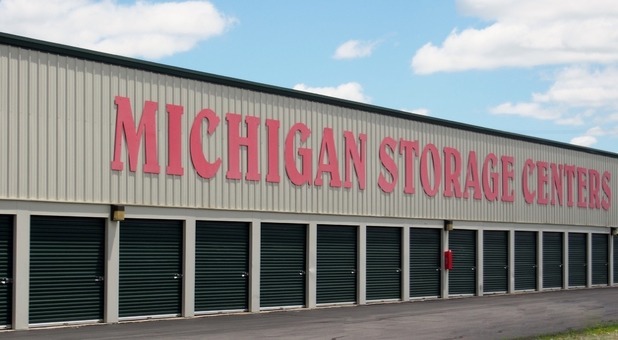 There are storage facilities closer to us, but we are entirely satisfied with Michigan Storage Centers. Steve at the Farmington Hills location has been wonderful, we really appreciate all his help. I have had two units and continue to have one unit now. The team has been great to work with. They are very accommodating and always helpful. Great place, a great team!